If you have a touch-enabled device for Windows 10, you might be wondering how you can enable and disable the touchscreen on your system. While it’s not immediately obvious, it is possible to toggle this feature. And you can even automate it with a shortcut! 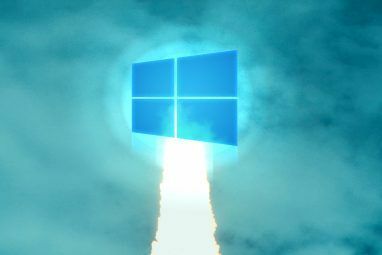 Oddly, Microsoft doesn’t support this toggle with a handy option in the new Settings section How to Control Windows 10: The Settings Guide How to Control Windows 10: The Settings Guide The Windows control panel is on its way out. Its replacement, the Settings app, has received a significant upgrade in Windows 10. We'll reveal all its secrets for you. Read More . Nevertheless, with a bit of effort we can create our own, which will allow you to turn your touchscreen on and off in seconds. If you have your own method to share on how to toggle the touchscreen, please let us know in the comments below. 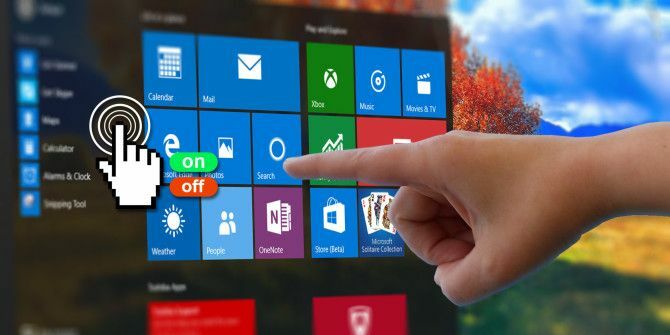 Windows 10 doesn’t have a built-in method to turn your touchscreen on and off. Though unlikely, it’s possible that your system manufacturer has included its own software to help you manage the touchscreen; please refer to the guide that came with your system. If the feature is missing, you need to use Device Manager to disable and enable your touchscreen. First, right-click the Start button or press Windows key + X to open the quick access menu. From here, select Device Manager. Alternatively, do a system search for this tool. A new window will open, which lists all the devices detected on your system. Double click on the Human Interface Devices heading to expand the list of devices within. From here, right-click on HID-compliant touch screen and select Disable. You will then receive a warning message, telling you that disabling this device will cause it to stop functioning. As this is exactly what we want, click Yes to proceed. The touchscreen will instantly be disabled and no further action is required. If you want to turn the touchscreen back on, simply repeat the above process, but when right-clicking the touchscreen option you will select Enable. However, this may require a system restart to take effect Why Does Rebooting Your Computer Fix So Many Issues? Why Does Rebooting Your Computer Fix So Many Issues? "Have you tried rebooting?" It's technical advice that gets thrown around a lot, but there's a reason: it works. Not just for PCs, but a wide range of devices. We explain why. Read More . If you constantly need to enable and disable your touchscreen, it’s a bit of a hassle to keep going into the Device Manager. To combat this, we can create a shortcut, which will automate the process. It’s a bit complicated, so ensure to follow the instructions carefully. We have split up the steps to make it easy to follow. First, you need to download software called Windows Device Console, or Devcon for short. Normally this comes bundled with Visual Studio Express, but that download is far too bloated for our purposes. Handily, joequery.me has kindly separated the software into a standalone download. The site is also where this process came from, so many thanks to them. Once downloaded, unzip the folder. Navigate inside the Windows 8.1 folder (it works perfectly for Windows 10, don’t worry) and then into the folder for your operating system version, 32bit or 64bit. If you’re not sure which you have, check out our guide on discovering your bit version 4 Easy Ways to Know If You're on a 64-Bit Version of Windows 4 Easy Ways to Know If You're on a 64-Bit Version of Windows Are you using a processor that supports a 64-bit operating system and are you running a 64-bit operating system? The average off-and-on PC user probably doesn't know the answers to these questions, although they should.... Read More . Now press Windows key + R to open Run, input C:\Windows\System32 and press OK. Then move the Devcon executable into this folder. You may have to provide administrator permissions to drag&drop the devcon.exe into the System32 folder. Right-click devcon.exe, select Properties, head to the Compatibility tab and check Run this program as an administrator. Next, press Windows key + X and select Device Manager. Then double click the Human Interface Devices heading. Right-click the HID-compliant touch screen device listing, then select Properties. Leave this window open for now. We’ll come back to it in a moment. devcon status "%touchscreenid%" | findstr "running"
Switch back to the Properties window that we were using previously. Right click the relevant value and select Copy. Then replace ID_HERE in Notepad with the value that you just copied to your clipboard. In Notepad go to File > Save As… and name the file touchscreen.bat. Save this anywhere you like; somewhere like your Documents would be a good place. What we did here was to create a simple batch file to automate a system process How to Use Windows Batch File Commands to Automate Repetitive Tasks How to Use Windows Batch File Commands to Automate Repetitive Tasks Do you frequently execute boring and repetitive tasks? A batch file might be exactly what you’re looking for. Use it to automate actions. We'll show you the commands you need to know. Read More . We now need to turn this into a handy shortcut. Navigate to the file you just saved, then right click it and select Create shortcut. From the Run dropdown, select Minimized so that Command Prompt doesn’t open each time you select the shortcut. Finally, click Advanced…, tick Run as administrator, then click OK and OK again. You can also set up a keyboard shortcut that will run the batch file. Press the Shortcut key file and enter a key combination you can remember and that isn’t occupied, yet. Maybe something like CTRL + ALT + T.
And it’s done! Place this shortcut wherever you like, perhaps on your desktop or on your Taskbar. Simply open it and it’ll then enable or disable your touchscreen automatically. If you’re having problems getting this to work, first reread the instructions and make sure you’ve followed every step and copied the correct ID. A small mistake can make the entire process break, so be careful. If you’re sure you’ve done it all properly and are still having problems, we can create two separate batch files – one for enabling and another for disabling. Replace ID_HERE as detailed above and save the file as touchscreendisable.bat. Then continue with the instructions above. When setting a keyboard shortcut, you can use something like CTRL + ALT + D. Now opening this file or using that shortcut will disable your touchscreen. Again, replace ID_HERE and save the file as touchscreenenable.bat. Then carry on with the instructions above. You can set a shortcut like CTRL + ALT + E. This file and shortcut will enable your touchscreen. To summarize, rather than using a single script to both enable and disable the touchscreen, depending on its current state, we have split this into two separate scripts because the 2-in-1 solution might not work on every system. If you’ve used Continuum, the feature that allows you to switch between desktop and tablet modes, then you might have wanted to disable your touchscreen when in desktop mode. Or perhaps your system comes with touch abilities How to Get the Most Out of Your Touchpad in Windows 10 How to Get the Most Out of Your Touchpad in Windows 10 Your Windows 10 laptop touchpad has potential beyond being a poor mouse replacement. We'll show you how to set it up to use smart touch gestures with up to four fingers. Read More that you just don’t want to use. Whatever the situation, hopefully this guide has helped. 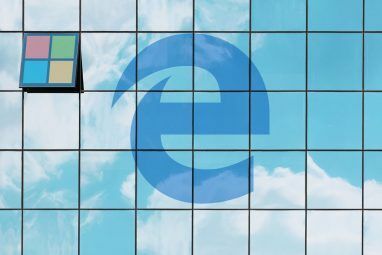 If you’re running a tablet on Windows 10 and are having problems with it, check out our guide on resolving tablet touchscreen problems Tablet Touchscreen Not Working? 5 Tips to Fix Touch Problems Tablet Touchscreen Not Working? 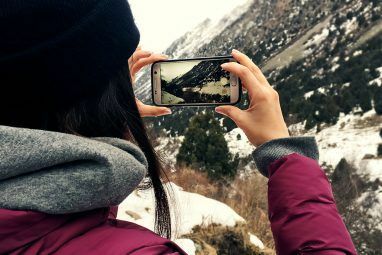 5 Tips to Fix Touch Problems Tapping, swiping or zoom-pinching, there's often a moment when the touchscreen display on your tablet refuses to respond. How do you overcome this, and achieve tablet-tapping Zen? Read More to see if it’ll help before resorting to disabling it entirely. Do you have your own method to toggling the touchscreen to share? Why do you want to disable your touchscreen? Explore more about: Keyboard Shortcuts, Touchscreen, Windows 10, Windows 8, Windows 8.1. This was working great and now after a recent windows 10 update it has stopped working. Any ideas on how to get this functionality back? You have to extract the file from the .cab file (did this using winzip) and rename it to devcon.exe. Then place it in C:\Windows\System32. This worked for me on Windows 10 64bits 1809 althought the link above refers to Win 10 1709, file name is "filbad6e2cce5ebc45a401e19c613d0a28f". I didn't have to change anything in my already existing batch file. I was having the same issue and just got it solved; I downloaded a more recent version on devcon. This worked for me on Windows 10 64bits 1809 althought the link above refers to Win 10 1709. Nice one, works like a charm on my Win10 2-in-1...those ghost-clicks after closing the "lid" were driving me nuts. This worked AMAZING for my windows surface 3! I dropped it awhile back, and can't afford to get a new one, so the screen is constantly glitching and doing random stuff, but the tablet works perfectly fine besides this. With this little custom shortcut, I can turn it on/ off without any hassle, and it's saved me a lot of headache. Thank you! Does anyone know how to make the batch file without using any third party software? I hate downloading programs. Not a lot of hard drive space. as i open the Human Interface Devices and open the arrow projected at the left side theirs no HID-compliant touch screen device that has been listed on it. Now i realy dont know what to do with this. this happened when I update my windows 8 to windows 10. Pls help me how to fix this. plsssssssssssss. Thanks for the brilliant article! Worked like a charm for months, but after updating Windows to the latest version (Build 14393) it stopped working. After running the batch file separately and looking at the output, it stated that it did not recognise devcon. The fix in this case was to download devcon.exe again and move it to System32. For some reason Windows deleted the .exe during the update... But following these steps it is up and running again, hope this can help others! thank you so much, it works perfectly! only my hardware id didn't have a HID\VID_####&PID_####&COL## format so i used the one with HID\VID_####&PID_####&MI_## format and it seems to work! I'm trying to do this... but encountered one issue. You list the format for the Hardware ID we need, but my tablet doesn't have any entry that matches that format. I have one entry starting with HID\VID but it does not match your format. It is HID\VID_####&Up:###F_U:#### - which you have in your system too, but that's the not Hardware ID you said we need. and that's it. Is one of these the Hardware ID I need? Everything else in your instructions is very clear and easy - just stumped at the needed ID to use. Can you help? Thanks so much!! In windows 10, even with touchscreen device disabled, it is still working. devmanager know it is disabled but devcon status show it as running. how do i fix this? try using Long Path Tool, it works.